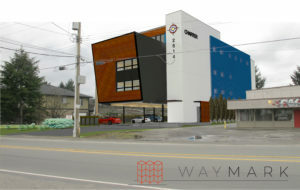 The region’s first passive house was completed in 2013, and Waymark Architecture is helping the South Island continue to lead the way to true sustainability with what is poised to be Western Canada’s first Passive House office building. In addition to this, Charter Telecom’s new headquarters will be the first cross laminated timber building on Vancouver Island. These innovative design techniques and standards have positioned this project on the leading edge of building science and sustainability. The Charter Headquarters building is a catalyst for high performance construction in Canada, showcasing the innovations of its telecom masters in a sophisticated home of ultrahigh-efficiency. The building has taken the successes of the Passive House models around the world and applied them to a tech lab and office building. With design loads of 90% less heating and cooling energy than conventional buildings, the project will provide a building suitable to a telecom host moving the state of the art forward each year. Passive House building techniques stray beyond typical, and require specific skilled trades. Waymark determined that a simplification of design and sub-trade scope would allow for the necessary coordination without the worry of every trade being skilled passive house builders. The building design reflected this by creating three simple layers wrapped around each other. 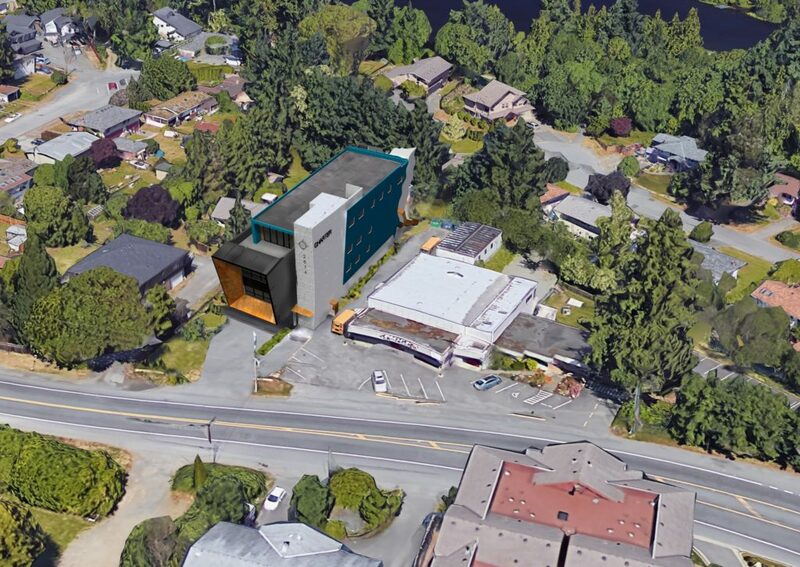 The structure will be assembled from pre-manufactured heavy timber, followed by a layer of insulation and envelope work, and finally the building will be covered in a protective cladding and roofing membrane protecting the building from the elements with an uninterrupted armour.